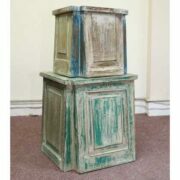 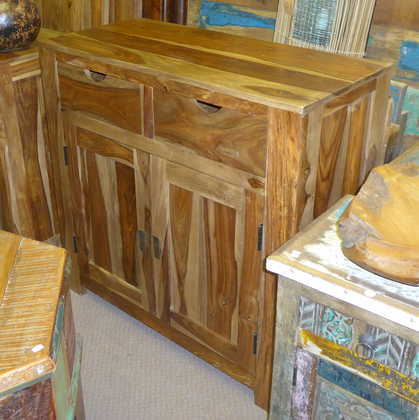 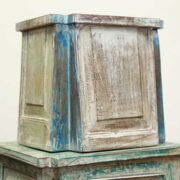 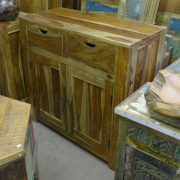 Smart sheesham sideboard with two drawers for your dining room storage needs. 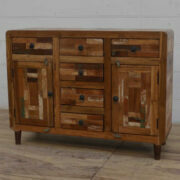 Sideboards date back to the 18th century, but like this smart Sheesham one, these days you can get them in a modern style! 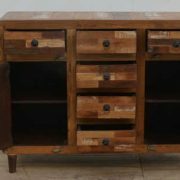 This sideboard has two drawers and one cupboard with shelf, use it for keeping tableware, cutlery, glasses, linen, china, candlesticks, salt and pepper shakers, and decorative knick-knacks. 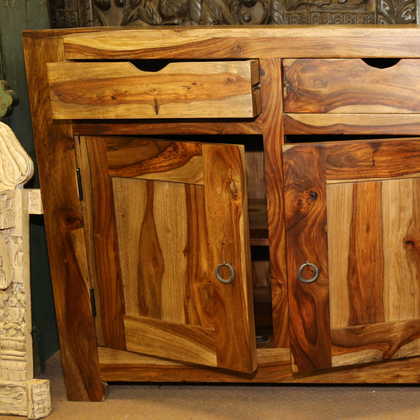 Sheesham, is an Indian rosewood, it’s hard wearing and buffs up to a lovely finish. Stained to reflect the natural colour of this striking hard wood, showing off its darker and light pattern, it has knots, markings and imperfections, giving it a characteristic beauty.